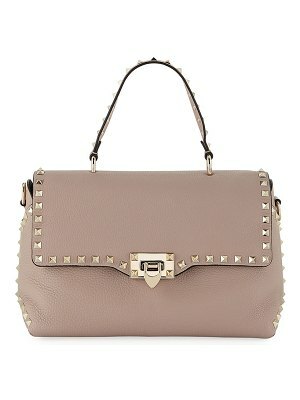 Signature rockstuds trace the structured silhouette of a streamlined shoulder bag in ultrasmooth calfskin. 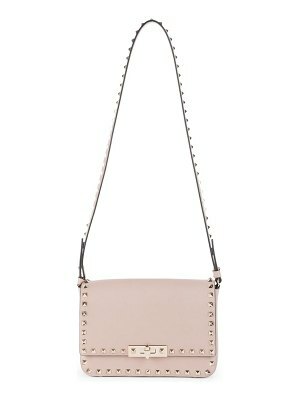 The studded shoulder strap allows you to keep your essentials with you and your hands free. 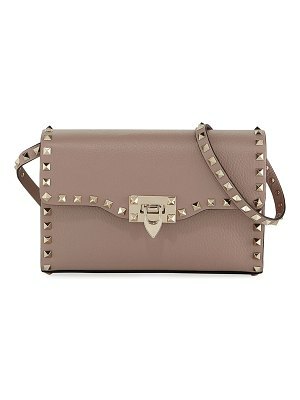 Style Name: Valentino Garavani Rockstud Leather Shoulder Bag. 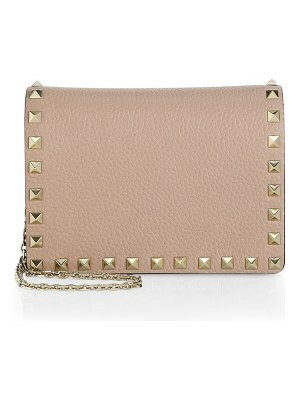 Style Number: 5679323. Available in stores.